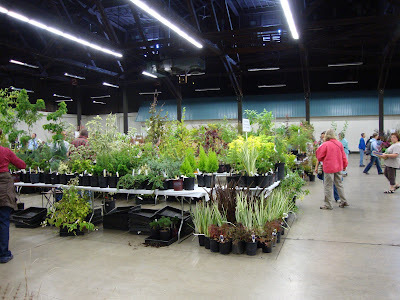 This is only the 2nd fall Hardy Plant Society of Oregon sale I have attended (compared to 4 spring sales). 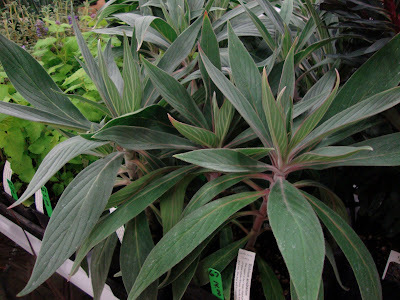 Last year was the first; I bought two small variegated Echium. They were gorgeous; they died over the winter despite my attempts to save them. The spring sale is an opportunity to get out and celebrate the promise of the coming season. I can totally get behind that. This year I decided the fall sale is a celebration of denial. Denial that the upcoming winter might wipe out everything borderline hardy that I planted over the last 6 months of the year. Ok…I can get behind denial, its right up there with rationalization. I am VERY good at both. The only thing on my “must have” list was a Tetrapanax, we dug up an ornamental grass in the north corner of our front garden and I wanted a big Tetrapananx to go in its place, something that would stop traffic next year with its big leaves. 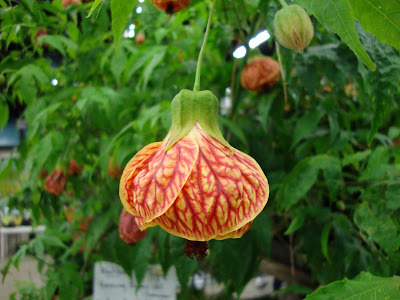 Easy list, nothing to stress over…I was confident that I would find just the plant and could approach this sale with a laid back attitude. We didn’t arrive until after 11 am. That’s pretty laid back right? The crowds were nothing like the spring sale! Parking wasn’t even bad, surprising considering there was a “gun and ammo” show in the exhibition hall next door. You could walk right up to a table, unlike the spring sale where you had to wait and be patient and work your way up. This was nice. First table inside the door. Cistus. So many wonderful things. 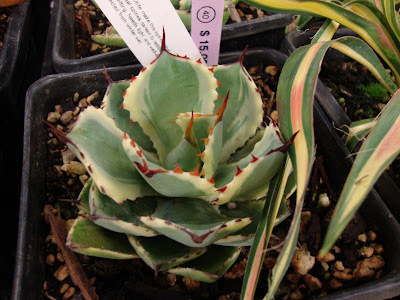 How cute is this little Agave ‘Kissho Kan?’ Adorable right? It’s only hardy to a zone 9, a full zone higher than Portland. I passed it by. Sigh. 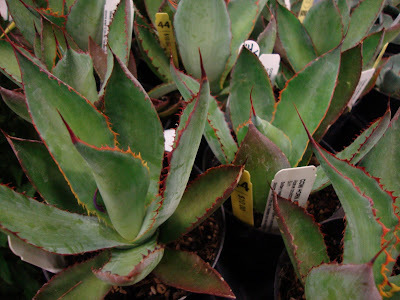 There were more agaves…the whole world is discovering them. You know what? I didn’t buy a single one. Not one! And the Cow Horn, Agave bovicornuta. Good god…the names! I love Echiums but I am fearful this time of the year. At the spring sale I would totally buy these, fall, not so much. 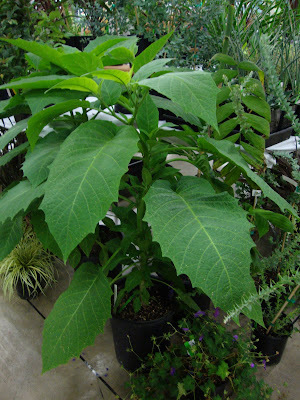 Amazing Brugmansia, if only I had a heated greenhouse! Spot! A Mangave, this is a most excellent plant. Too bad I already have a couple. 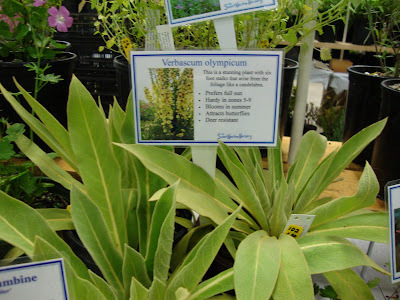 I need to learn more about the Verbascum olympicum, could be good. Didn’t buy any though. Prettier Rhododendron macabeanum Cecil Smith Selfed Form. Worth thinking about with those HUGE leaves. 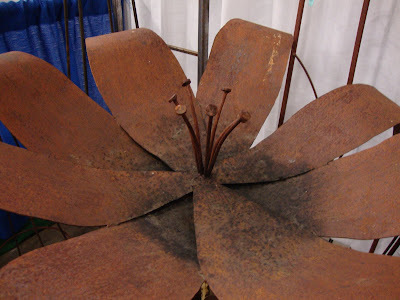 I'm not much for ‘Garden Art’ but I loved this large rusted flower. Ok we are in line. We just walked right up. No waiting in a long line! It’s an amazing thing. I love watching what other people are buying and guessing what their gardens are like. 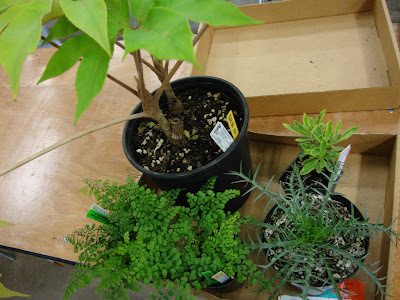 These were the selections of the lady in front of me… What I bought… I found the large Tetrapanax I was hunting for! And even had time to plant it on Sunday. 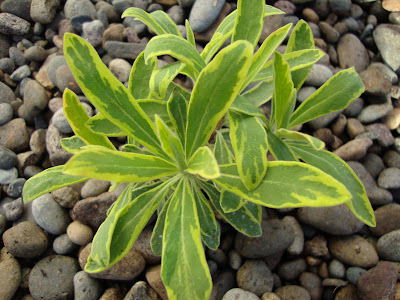 And look at this, a Euphorbia Ascot Rainbow! Like I saw at the Farwest Show in August! Wow, that made it to market fast. 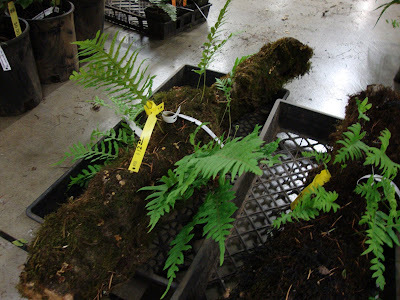 I also picked up a couple Himalayan Maidenhair ferns. 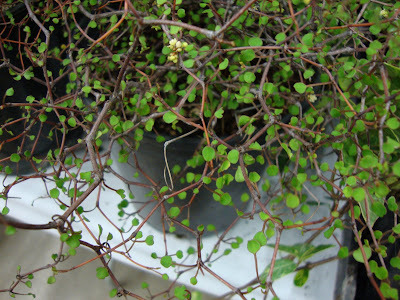 I love their bright green leaves and thin black stems. 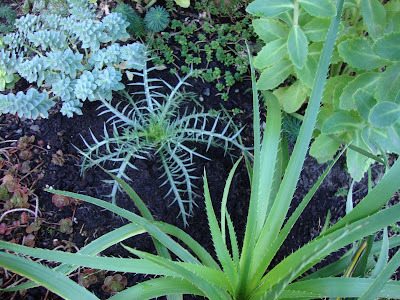 And a new Eryngium…Eryngium venustum. This is a very spiky little plant that kept poking me as I was carrying it around. Thank goodness for the "drop-off" area at the sale, so I could get rid of it, otherwise I would have been bleeding by the time we left. Did you go to the HPSO sale? What did you buy? It was such a great weekend for working outside that I decided to pass on the HPSO sale this year and work with what is already here. Of course when I see your Eryngium I question the wisdom of that decision...then I console myself that there will be no expensive deaths this winter. 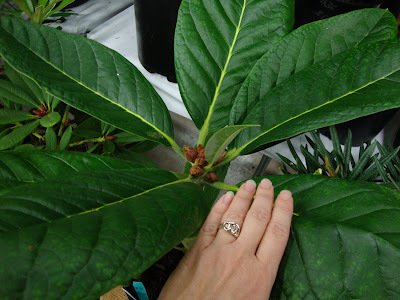 DG~~ A good sized healthy looking Tetrapanax. Love that Euphorbia!! 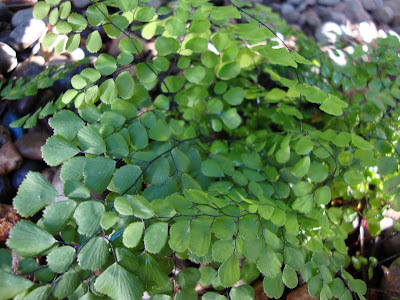 The maidenhair fern--Himalayan so I assume its hardy, right? A must- have for me too. How nice that the attendance was down. You know it's the diehards that do the fall sales. The fair weather gardeners are finished now. LOL With all that room to move around it must have been a low-stress trip. Obviously I didn't go, but man I wish I could have. 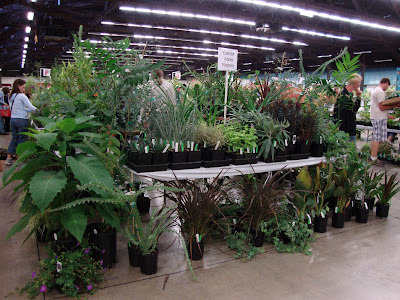 Great stuff for sale, though like you I would have been leery of planting agaves at this time of year. I was so restrained: just three plants, and two were the same! 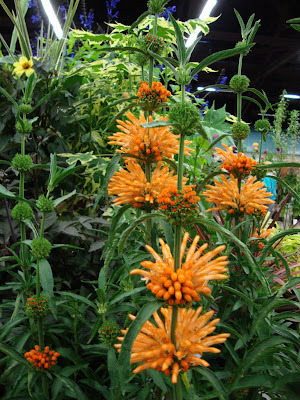 That lion's ear is great - is that also called phlomis? When we went last fall, it was Saturday and much busier. 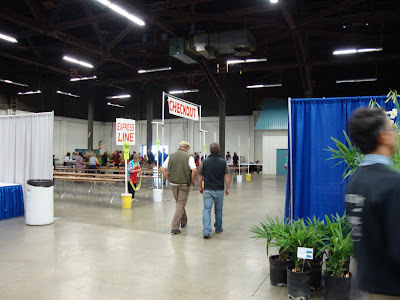 This time I went on Sunday about noon, and the sale seemed almost zen-like: I have never seen so many great plants with so few people there to buy them. I just hope the growers felt it was worth it and will be back. DG~~ You're not crazy. I just redid my blog format.I wonder if people take this poison thing too far. Poison oak and Aconitum foliage are poisonous to the touch but I'm pretty sure plants like Rhododendron, Poinsettia and Castor are only poisonous if you ingest a lot. Someone else was just blogging about this too. Can't recall who though. A trough sounds perfect. I don't think you'd be disappointed. Stay cool! ricki, no expensive deaths? Where is the fun in that?! Grace, totally low stress. I had to take a deep breath, relax and drop my battle plan. 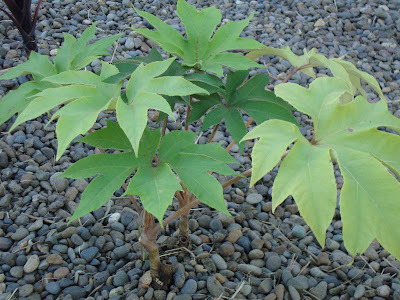 I was so happy to find the Tetrapanax, exactly what I was after. Those little ferns look too fragile to be hardy don't they? Supposedly hardy to -20F! Pam, you'll have to drive up to Portland sometime and go! Or fly and then drive your rental van back home. Jane, restraint was the name of the game for me too. Last year we went on Sunday and it was a sleeper! I felt so bad for the vendors. 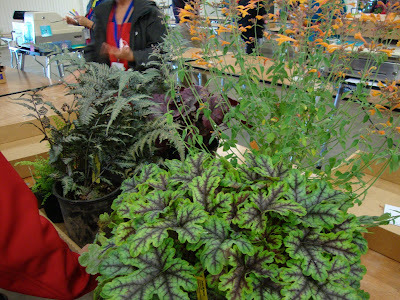 At least this year there were lots of plants in the holding area, so the people who were there were buying. Grace, I'm not crazy!? Thanks! You know you have a point there. I have Euphorbia all over the place and never worry. Why am I so worried about the Castor Bean? Weren't those brugmansia amazing? Such big leaves! I almost found the agave selection overwhelming. Usually if there's one or two, I obsess, but with so many to choose from, I couldn't pick. I wanted a whale's tongue, but I want a big one, I don't want to wait years. Is that Muehlenbeckia-astonii maybe one of the things in your neighbor's yard? Seems like there was a contorted plant over there we couldn't identify. I missed that Rhododendron Macabeanum, or I would have been seriously tempted. I did see a good sized R. Sinogrande but I am being patient and trying to wait for my small ones to grow up. I was tempted by the Maidenhair ferns but wasn't sure I could commit to the watering schedule. You were so restrained. 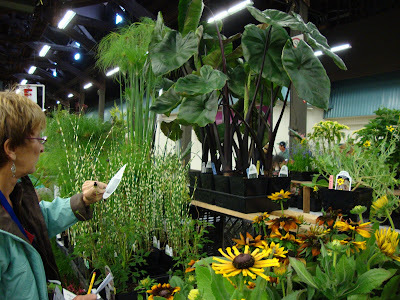 I realized when I was there, I do have limits on what I'll plant in fall, I passed up on a few things I would have definitely taken home in the spring. Megan, I think maybe the one in my neighbors yard was a poncirus trifoliata. I remember the "branches" being greenish where as these were brownish. I agree the whales tongue was too small (esp. for the price). Me restrained? I've got to tell Andrew...he won't believe it's possible. I guess I should add that later that day my visiting friend and I went shopping, where there were shoes and sweaters bought. All in the name of spurring out economy. What a NICE sale!! I really liked the delicate little shrub that I guess ends up being pretty delicately imposing 10 x10??! way. Megan, I am wrong! I did a walk-by the AZ landscape tonight and the stems on the mystery plant are not green, it isn't a poncirus trifoliata after all. 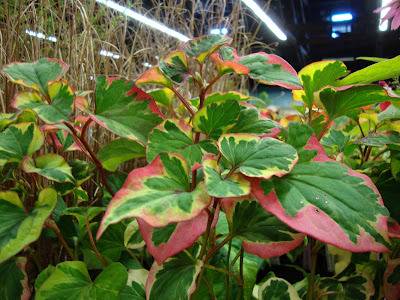 But the leaves are different than the ones on the Muehlenbeckia. Wendy, I bet you could figure it our pretty quick. Thanks for visiting and commenting! 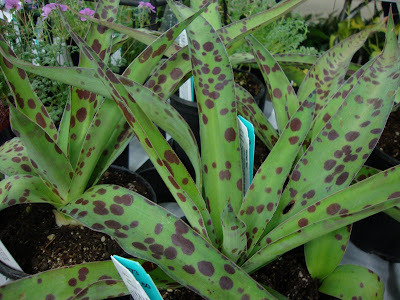 OK, am I crazy here or is it weird that a "hardy" plant sale contains so many that are out of zone for the NW? Seems like a bit of a misnomer. They tempt you with stuff that looks so great, then it inevitably dies or has to be babied so as not to. That said, I think you got a lot of great ones and showed some really interesting and lovely finds. That contorted plant, I think I've seen before and it does get pretty big. 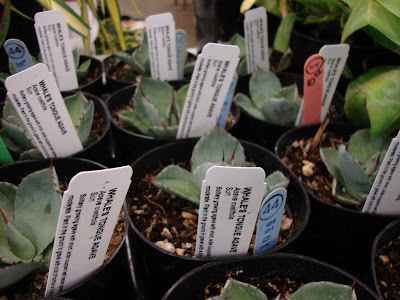 I am amazed that you didn't buy an agave, but seems that you are right to only do those when they have a chance to get established before winter/rains set in. I got a maidenhair fern with black stems at a plant sale recently, it's already dying back since I haven't planted or watered it much, oops. It may be beyond my capabilities but it sure snared me with its combo of stem color and leaf shape! Congrats on getting what you came for and (pretty much) stopping there. That does take real restraint, even if your hubby doesn't believe it! 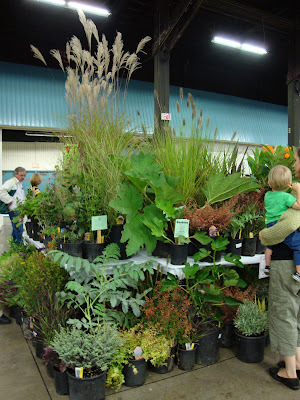 Hardy Plant Society Fall Sale this weekend!